Two legendary women’s college basketball coaches took turns telling stories about each other and expressing their respect for one another’s programs during press conferences Friday at the Arena in preparation for tonight’s Sweet 16 NCAA tournament matchups. 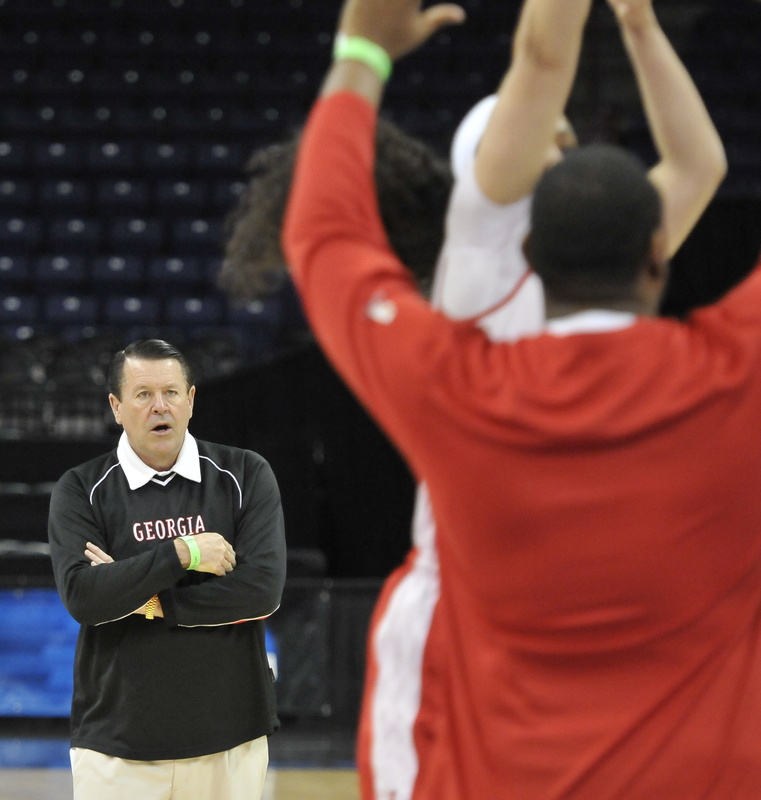 Georgia coach Andy Landers picked up his 900th career win this season. Stanford coach Tara VanDerveer is sitting at 894. Landers has a cattle ranch near Athens, Ga., something he calls his hobby. VanDerveer visited Landers once and he showed her his ranch where, at any time, he could have 80 to 100 head of cattle. He discovered she’s a vegetarian. “So I’m not helping his business at all,” VanDerveer said. They share a love for dogs – he the border collie variety and she retrievers and Labs. Landers pulled out an anecdote about VanDerveer teaching herself to play the piano. After VanDerveer had been playing for about a year, the coaches had occasion to meet. Both Landers and VanDerveer have their teams in the Sweet 16 for a 20th time. VanDerveer, who started her head-coaching career at Idaho (1978-80), said she was 23 years old when she took her first team to the Sweet 16 at Ohio State. Stanford is seeking a sixth straight trip to the Final Four. Cal coach Lindsay Gottlieb paused briefly before answering the inevitable question: What would it be like to face Stanford on Monday night in what would be the biggest meeting between the two programs? Then she tried hard not to give the predictable response. The teams split their season series, each winning on the other’s home court. In the eyes of LSU coach Nikki Caldwell, the notion of top-to-bottom Southeastern Conference superiority goes beyond the football field. And while she saw that a lot of Pac-12 teams “who are finding their way,” that didn’t apply to No. 1 seed Stanford. “They are their own beast,” Caldwell said. The rise of Cal women’s basketball has been so uplifting, they made a YouTube video about it. Entitled “Started from the Bottom,” the video stars the players themselves, who created the piece even as March Madness unfolded. “It was like … about to get real serious,” said guard Eliza Pierre, who handled the ball on the project but got assists from teammates, coaches and even the team video guy. “Just to have the coaches approve this and say, we want you guys to have fun, we want the world to see you guys as a team,” Pierre said.